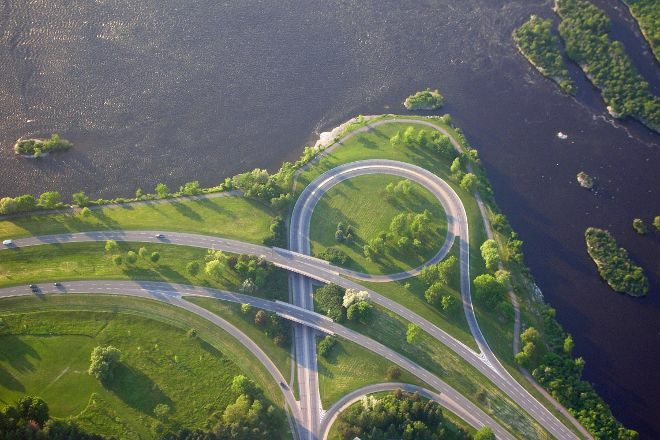 Following the bank of the Ottawa River, Sir John A. MacDonald Parkway boasts four lanes, scenic lookouts, small parking lots, picnic areas, and a beach. Whether you explore by car or ride a bike, you'll get clear views of the river and distant shoreline since the area is mostly cleared of trees. A recreational bike path stretches all the way along the parkway (bicycles are also allowed on the road). Westboro Beach offers a chance to rest in a pavilion with a restaurant patio overlooking the river. The parkway closes periodically for motorized vehicles. Find out how to plan Ottawa trip without stress by asking Inspirock to help create an itinerary. Rental car had passed this way on the Ottawa River. Overlooking Riverside Park, the beautiful and the leaves are a comfortable drive. 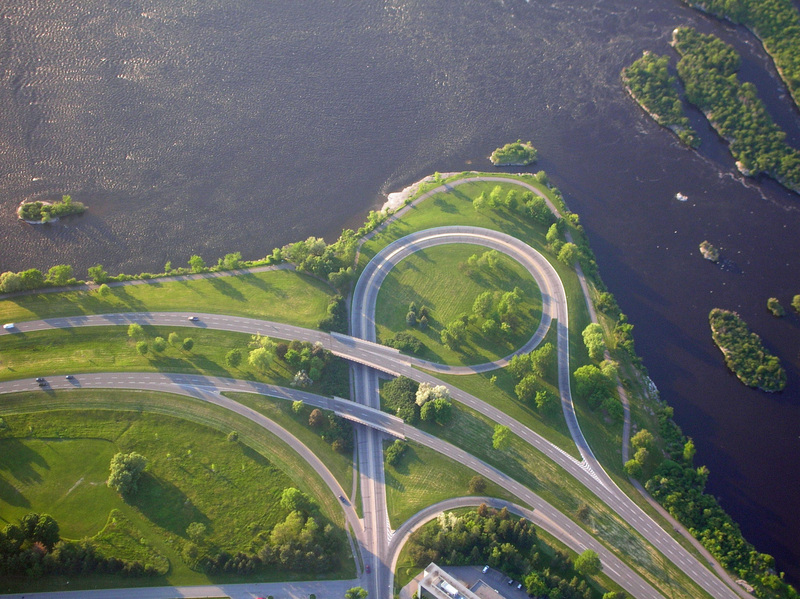 The Sir John A. MacDonald Parkway runs along the banks of the Ottawa River. The well-developed bike paths are what got me. Of which we can cut us a slice. There's always viewpoints, picnic areas, and a beach. It is beautiful here on the way to mind whether by bike or car. Every day, we help thousands of travelers plan great vacations. Here are some tips on how to use your Listing Page to attract more travelers to your business - Sir John A. MacDonald Parkway. Promote your permanent link - https://www.inspirock.com/canada/ottawa/sir-john-a-macdonald-parkway-a410190119 - on your website, your blog, and social media. When a traveler builds a plan from this page, the itinerary automatically includes Sir John A. MacDonald Parkway. This is a great way for travelers looking for a great vacation in your city or country to also experience Sir John A. MacDonald Parkway. Promoting your link also lets your audience know that you are featured on a rapidly growing travel site. In addition, the more this page is used, the more we will promote Sir John A. MacDonald Parkway to other Inspirock users. For best results, use the customized Trip Planning Widget for Sir John A. MacDonald Parkway on your website. It has all the advantages mentioned above, plus users to your site can conveniently access it directly on your site. Visitors to your site will appreciate you offering them help with planning their vacation. Setting this up takes just a few minutes - Click here for instructions.